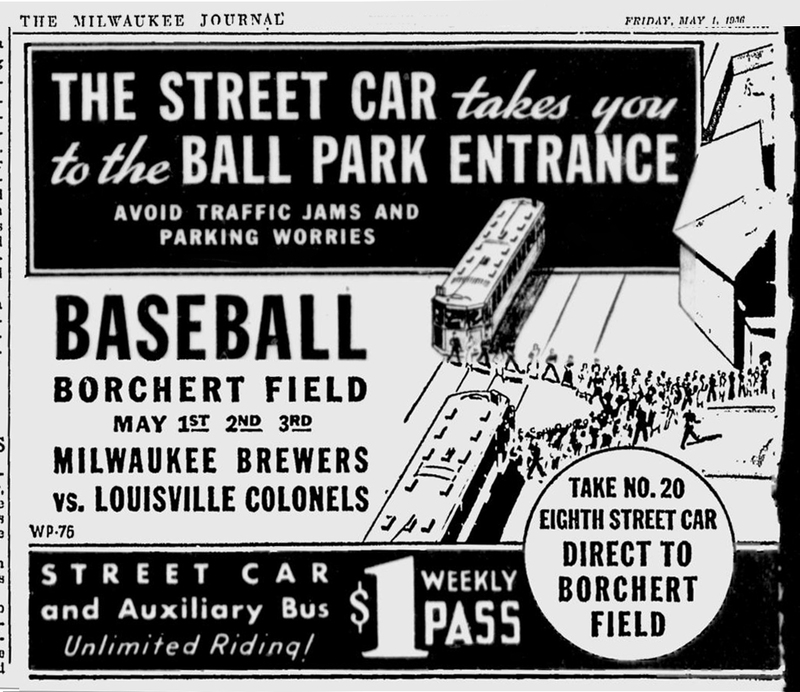 I recently had the privilege of speaking with WTMJ Radio's Doug Russell about Borchert Field and the neighborhood around it; one of the things we talked about was how fans got to the ballpark. Amazing. The contemporary trend towards downtown stadiums often includes public transport, trying to recapture days gone by. What it must have been like to jump aboard the No. 20 Eighth Street car to take in a game. 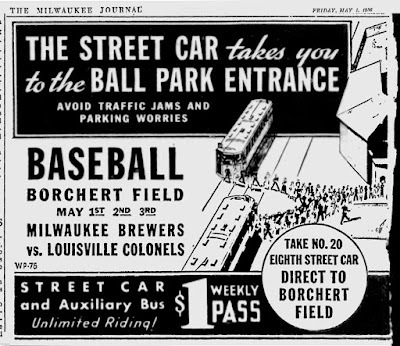 Perhaps with the planned Milwaukee Streetcar, we might be able to re-create this on our way to Miller Park.